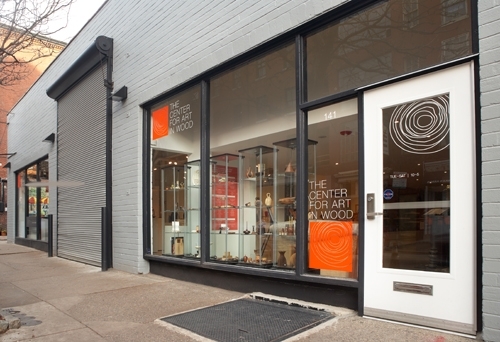 The Center for Art in Wood is an arts and educational institution whose mission is leading the growth, awareness, appreciation and promotion of artists and their creation and design of art in wood and wood in combination with other materials. 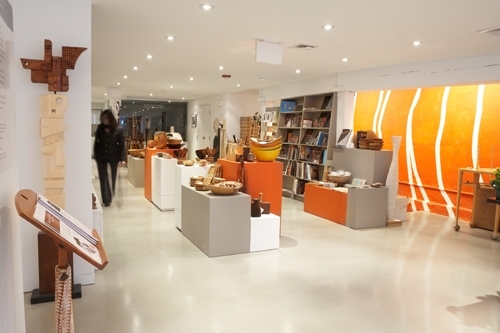 The Center displays wood art on site and in our traveling exhibitions and publications. Our International Turning Exchange (ITE) residency program has involved over 100 international residents as it continues through its second decade. The Community Outreach program brings hands-on wood turning and woodworking experience to students throughout the region. The permanent collection contains over 850 objects from around the world, ranging from traditional functional every-day objects to contemporary sculpture. 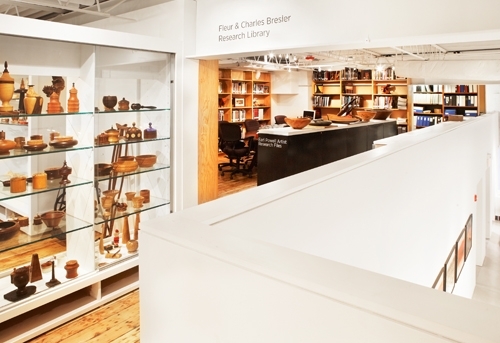 Our research library consists of over 25,000 images, artists' files and books that help preserve the exciting history of wood turning and woodworking and their continuing evolution as a contemporary art form.